We are showcasing our Polyester Velour this month. It is a fantastic knit fabric that is looped on one side with a ribbed glossy sheen texture on the opposite side. 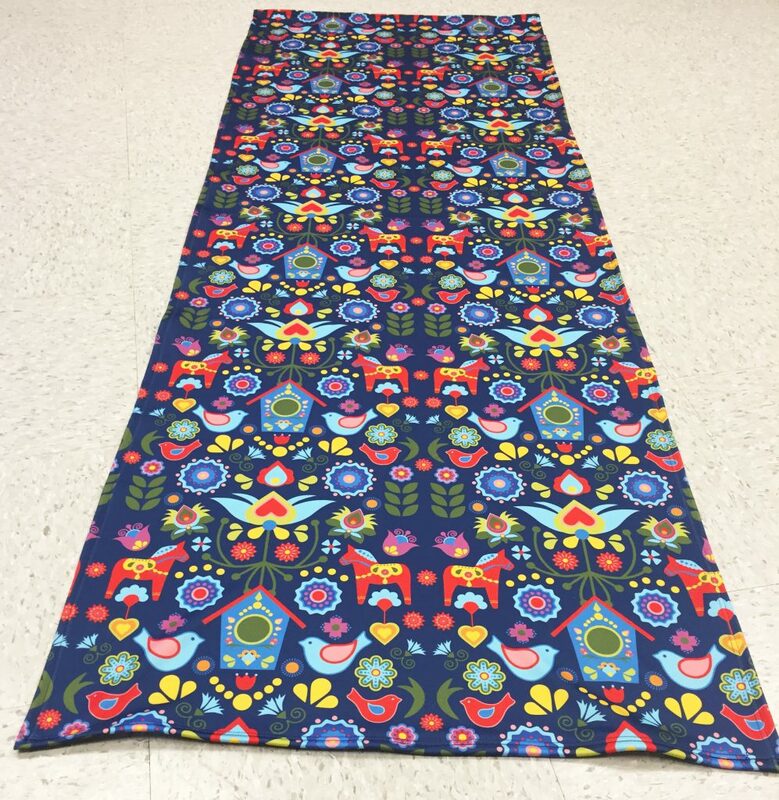 With this fabric we thought it would make a fantastic yoga mat towel. 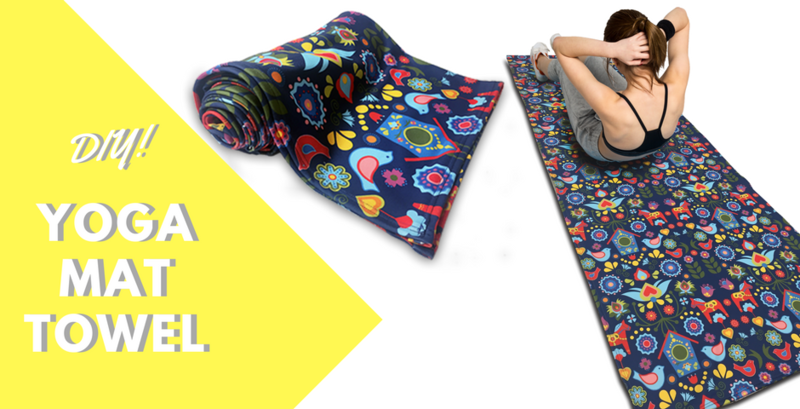 The looped side works great atop rubber yoga mats and doesn’t slip around. It is also absorbent keeping your mat nice and clean. After your workout you can toss your new towel right into the wash! 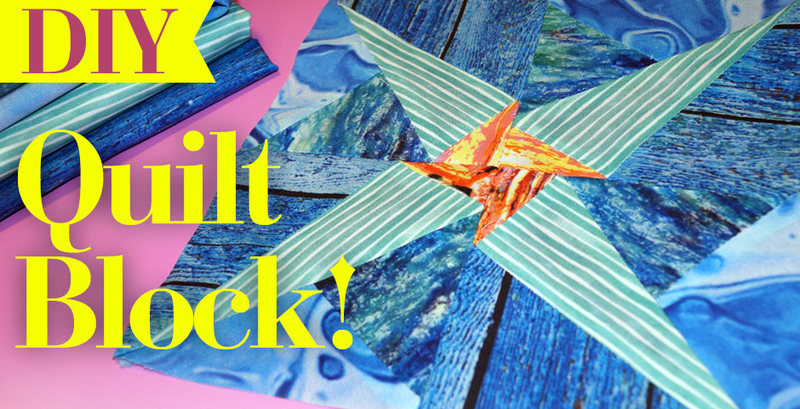 This tutorial is so simple, and you can make a statement in your next yoga class with your custom fabric! 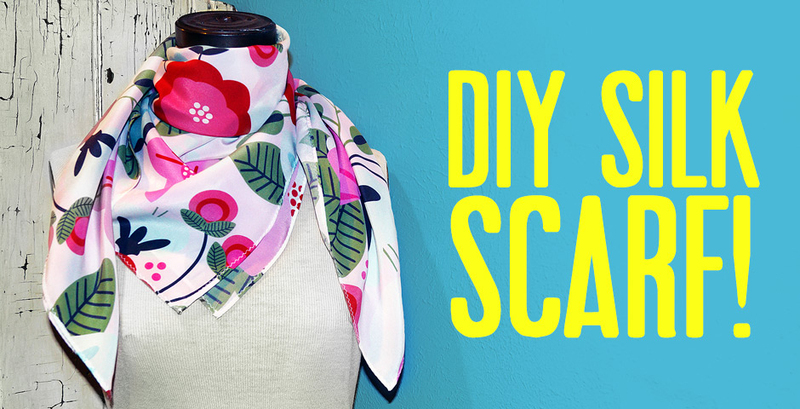 The first step is to cut out your fabric. We started by measuring our yoga mat. Most mats measure 24” x 64”. 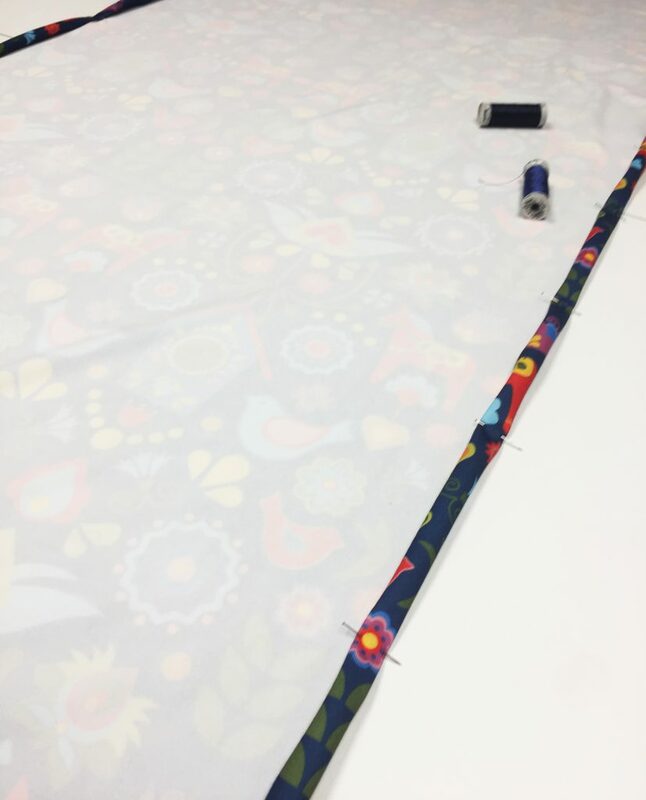 We took our measurement and added a seam allowance giving us 26.5” x 66.5”. We used our marking pen and ruler to mark the fabric and cut out a rectangle. Next, we prepped to hem around the entire towel. We used a double turned 5/8″ hem. 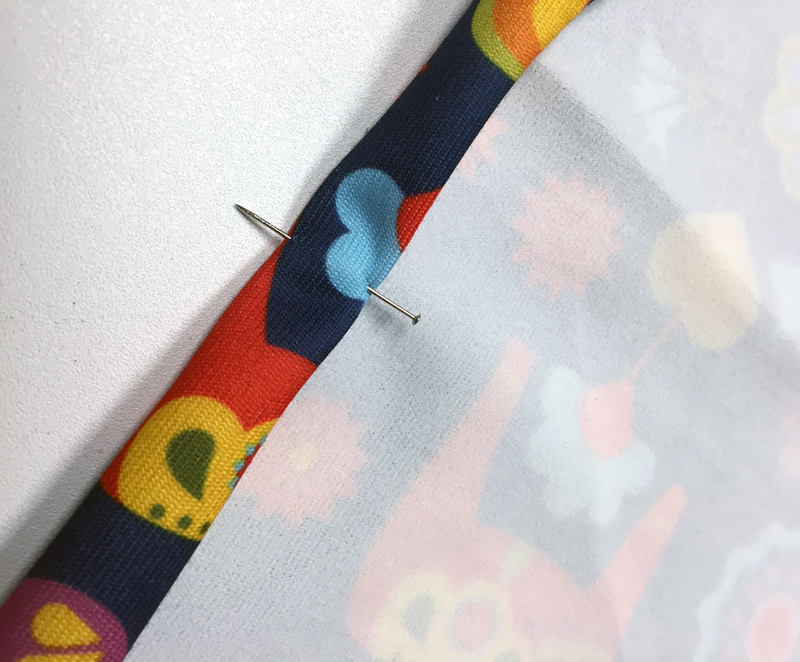 Using our seam gauge, we turned each edge over 5/8” and pressed then turned it over once more at 5/8” and pinned in place. Then, using a double needle we sewed at ½” around the entire towel, and YOU ARE DONE! 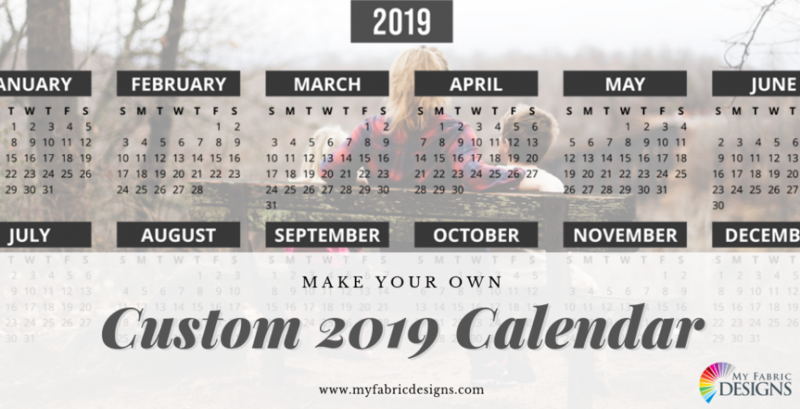 It is as easy as that and you will have the best-looking mat on the floor with your own custom fabric! Like the design we used? We do too! 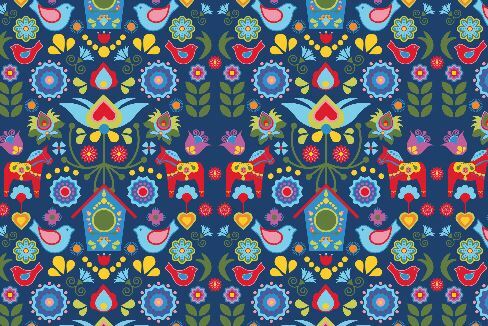 We had Swedish Folk Art Garden by LYDesign printed across 2 yards on our Polyester Velour! 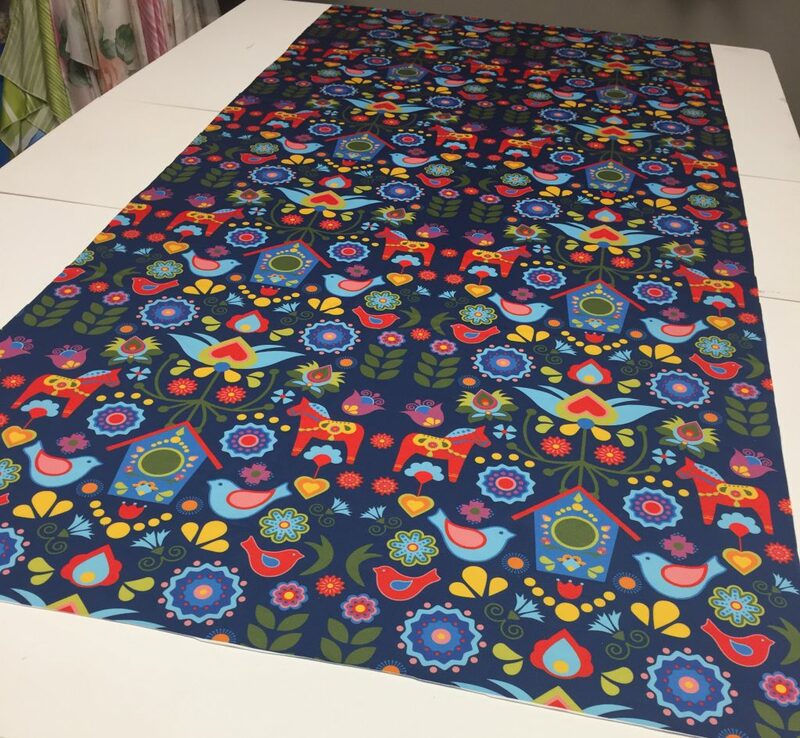 Get this design printed on any of our 26 fabrics for your next creation! 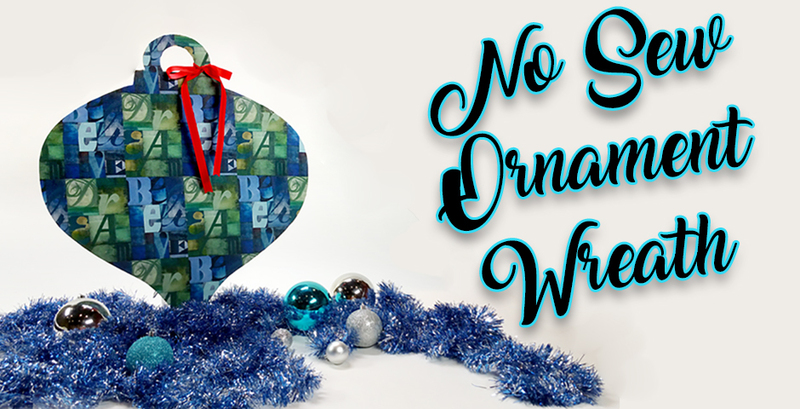 We are also offering 20% off your order at checkout with code yoga20 at checkout. 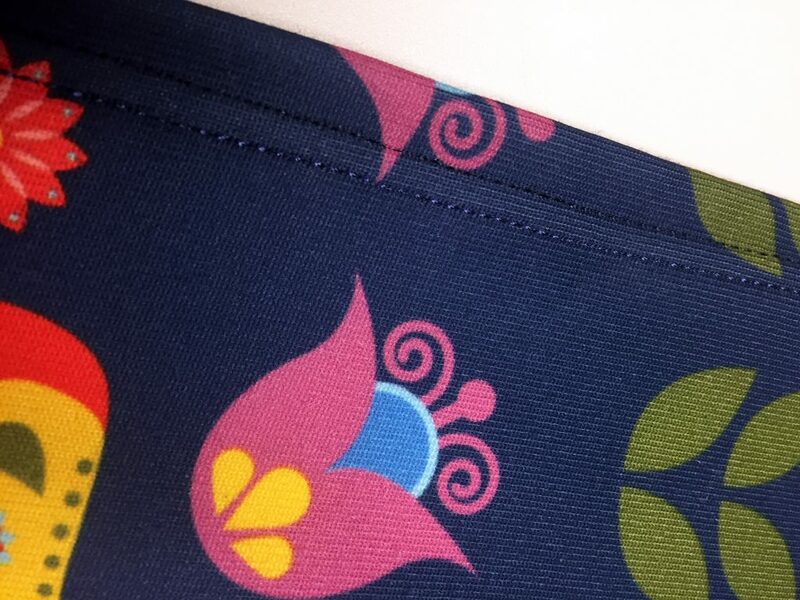 And don’t forget Polyester Velour is on sale for the entire month of February for just $22 a yard! That plus 20% off – such a deal!